Recently I embarked on the Super Loco Food Trail in which I was introduced to the 3 restaurant under the The Super Loco Group. My first stop brought me to Lucha Loco at Duxton Hill, the first outlet in Singapore that is opened in 2012. 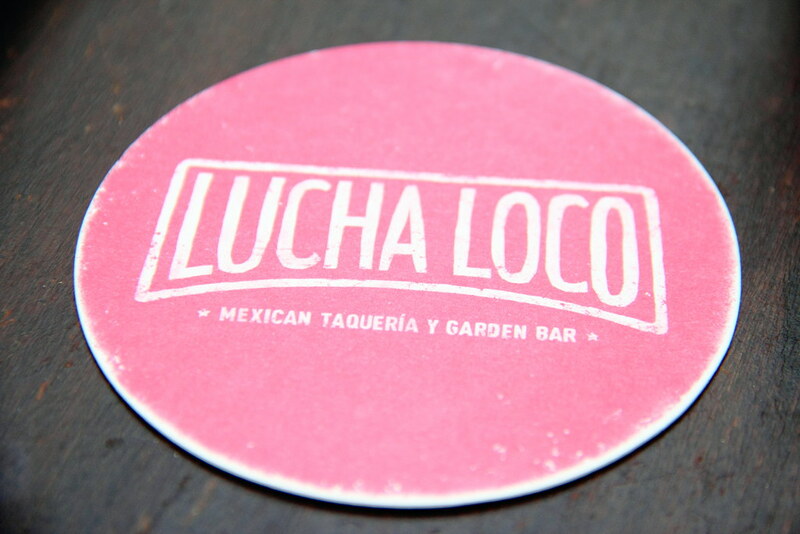 Lucha Loco is a casual and vibrant Mexican taqueria and bar, with a festive fun atmosphere and leafy beer garden. Lucha Loco attracts a vibrant drinking crowd with a selection of the finest tequilas, mezcals and cocktails. The menu has also been designed for sharing and to go well with the drinks. 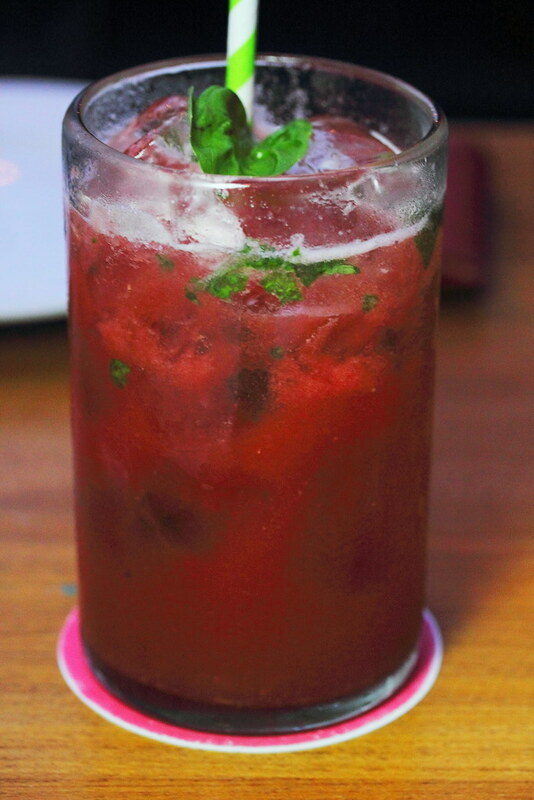 I opted for a mocktail, Watermelon & Basil Agua Fresca which is light and refreshing. 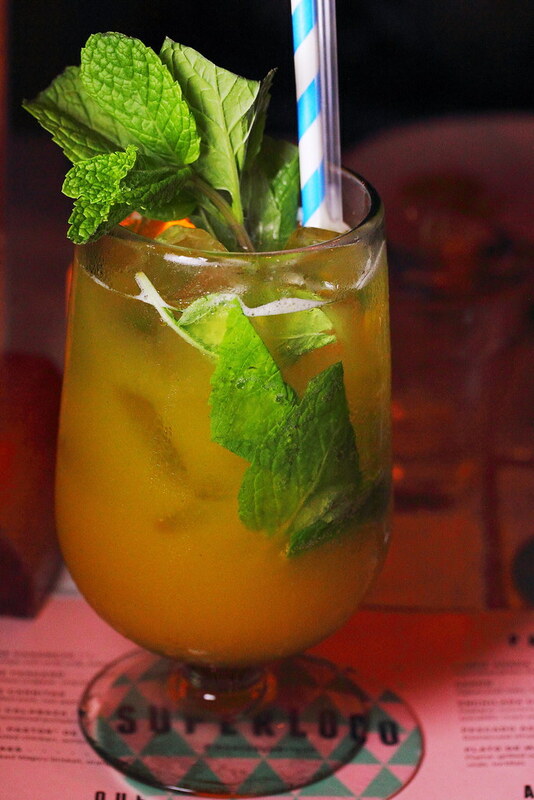 A perfect drink for the humid Singapore weather if you not in the mood for alcohol. The food here is more of the bar bites type and it is good for sharing with your drinking friends. 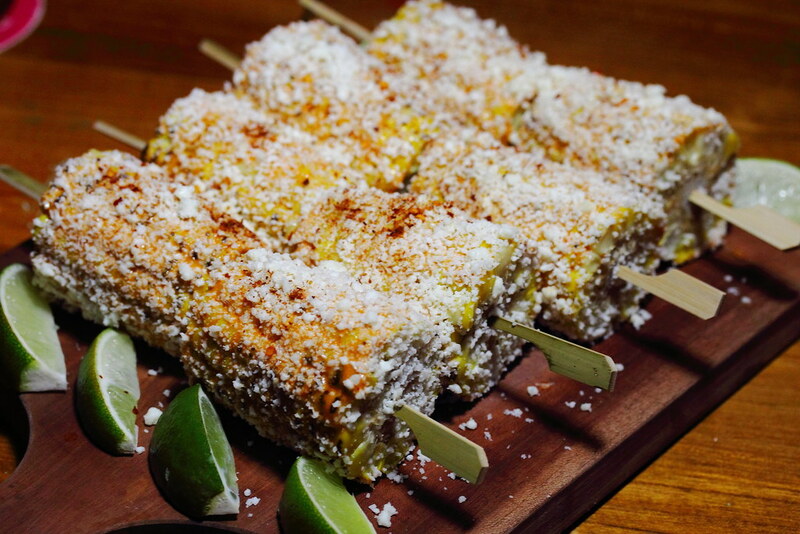 We started with some Elotes, which is Mexican street style grilled corn. This is one of the best corn I have eaten bursting with an array of flavours on top of the sweet corns. The familiar ingredient has been given a modernized and elevated coat of flavoured mayonnaise and spice seasoning instead of the traditional plain mayonnaise and cheese. How not to have a bite of the taco when you visit a Mexican restaurant? I had the Taco Pescado Snapper ($11) that is generously huge, grilled and served with chipotle mayo, red onion salsa, mint and parsley. Besides the different layers of textures and flavours, what I enjoyed most is the snapper fish that has been marinated overnight in an achiote marinade and grilled for a smoky profile. Our next stop brought us to Super Loco Robertson Quay which is opened in 2014. Unlike Lucha Loco which is more for the drinking crowd, Super Loco Robertson Quay caters towards families and the residents in the area. Hence the menu focuses more on communal dining and brunch. They even have a kid's menu. 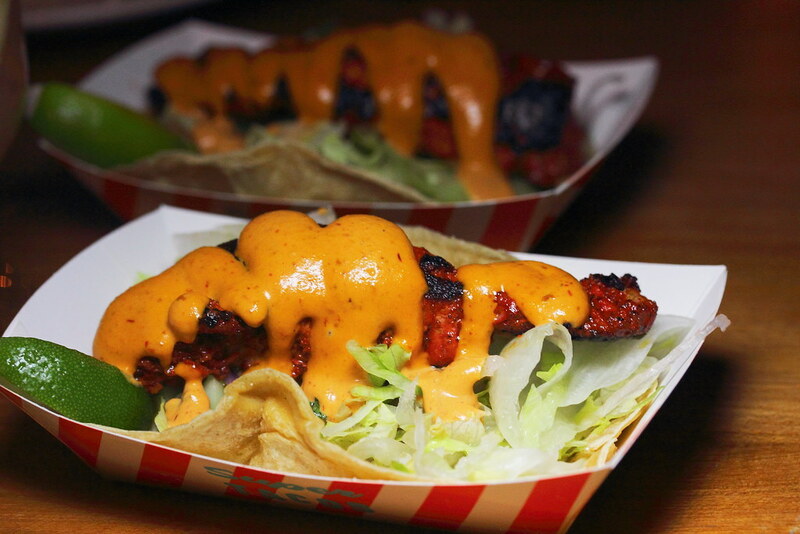 The Atitas De Pollo ($12) is a must order at Super Loco Robertson Quay. 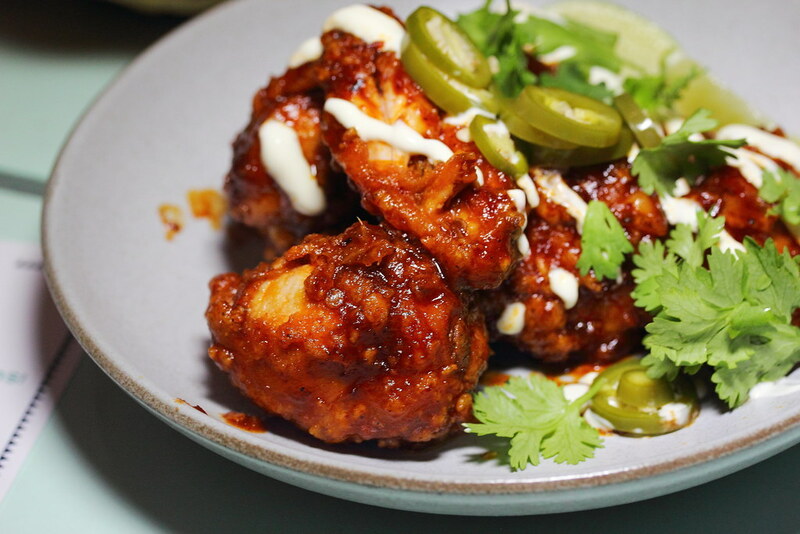 The fried chicken wings tossed in a chipotle sauce and drizzled with lime crema and pickled jalapenos were so finger licking good. Even though my mind was telling myself that I am stuffed but I could not resist going back for more of it. This is one dish I would return for. 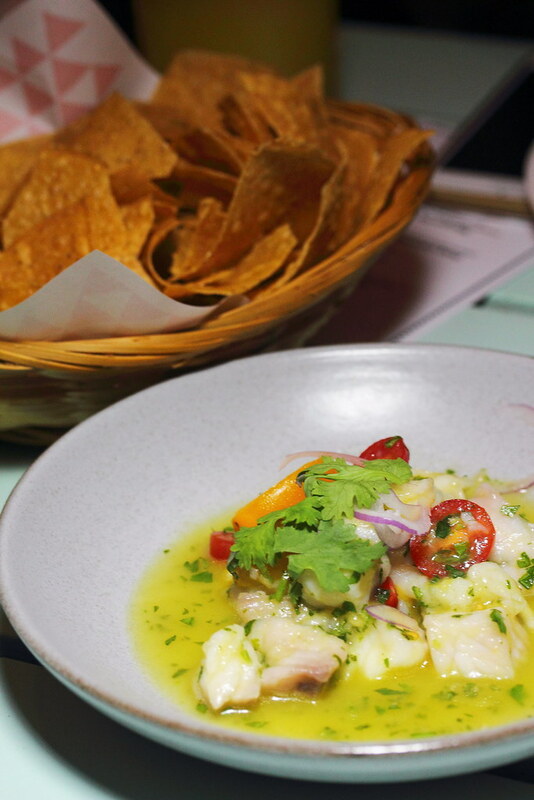 The Mango Ceviche ($18) comes with diced snapper topped with cherry tomatoes, serrano chillies, shallots, grated young ginger and celery. It is then finished with olive oil and lime juice. I enjoyed the sourish kick of the dish with the snapper but best to eat it together with the nacho for a more balanced experience. Our last and final stop is the group's latest restaurant at Customs House which comes with a panoramic view of the marina bay. 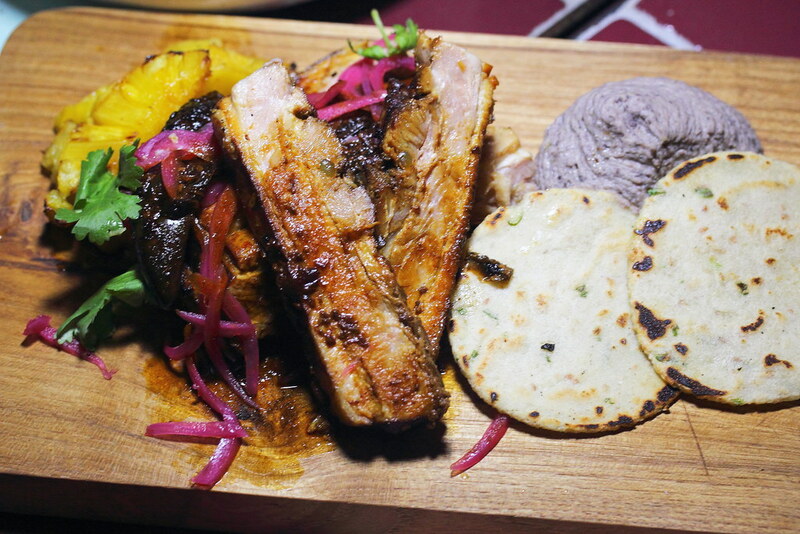 Super Loco Customs House will caters for the corporate crowd in the vicinity. The menu is designed to feature premium ingredients such as lobsters, wagyu and oysters. Besides offering contemporary Mexican fare in a modern way, the menu also features 28 vegetarian dishes and is 90% gluten-free. 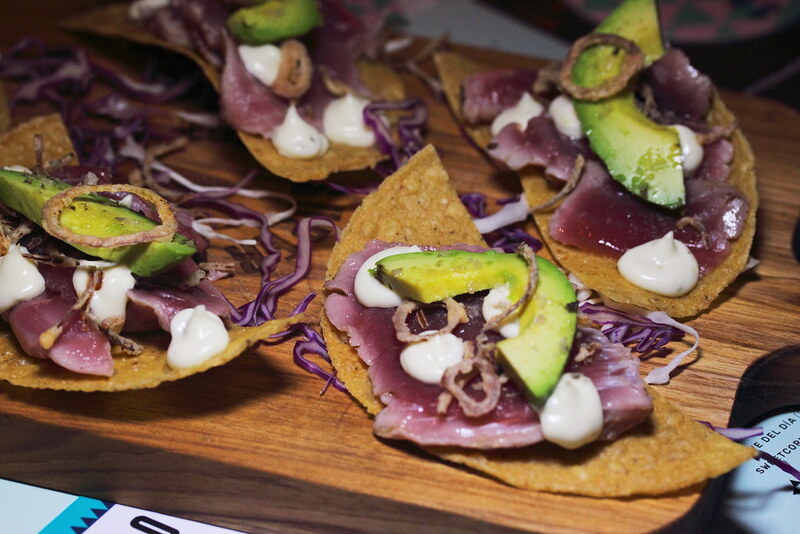 We started with some light bites in the Atun Tostadas ($15). The fresh sashimi grade tuna is torched and topped with fried onion, lime mayo, avocado and smoked sea salt. This is a delectable starter to go with a few drinks. I took me by surprised that I would enjoy the Ensalada Granos ($8/$15) so much. The multi textural enjoyment and flavours simply won my heart and soul for the dish. 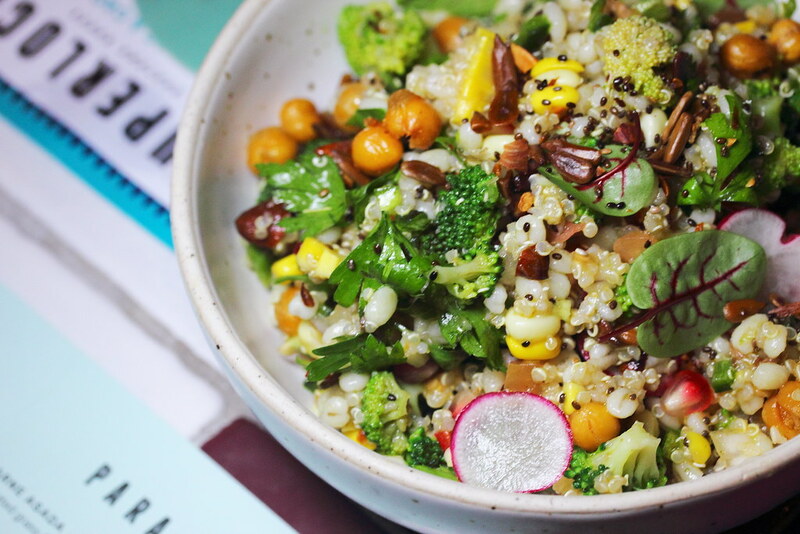 The quinoa and pearly barley are steamed to a light and fluffy texture. Almonds, chia and sunflower seeds are toasted, chopped and added to the bowl for a more nutty enjoyment. This is rounded off with fresh chopped tomatoes, onions, coriander and lime. Finally dressed in sherry vinaigrette. 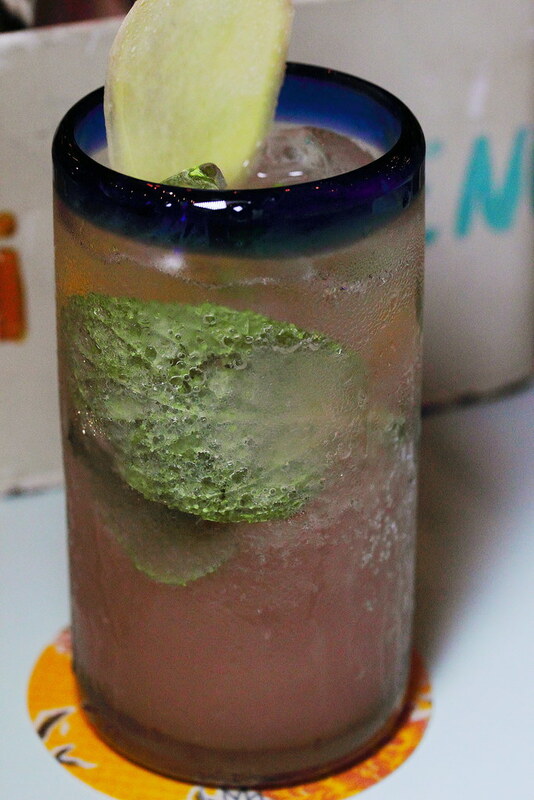 The Pepino Y Mas ($6/$11) is another salad on the menu that is new and refreshing to me. 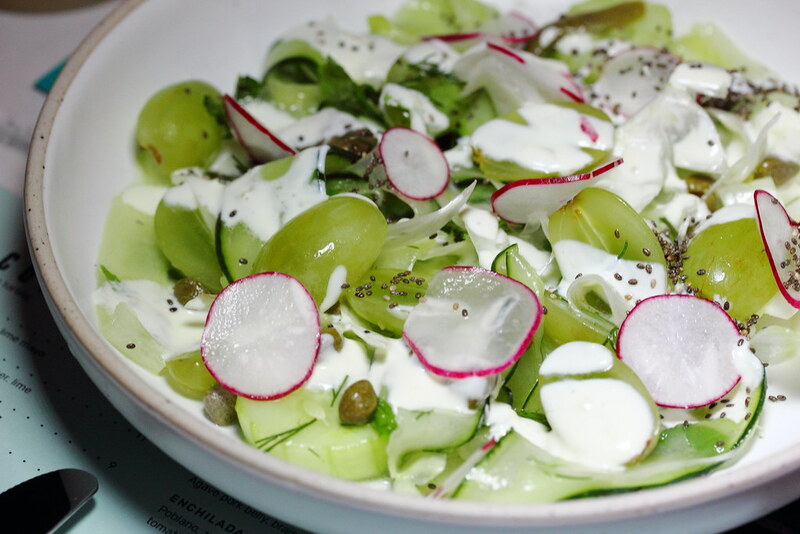 The refreshing salad includes blanched cactus that is pickled and served with sliced cucumber, shaved fennel, chia seeds, green grapes, capers, lime, radish and dressed in a yoghurt sauce. The combination is really brilliant. I think those we do not like their greens will also enjoy it. Making a grand entrance is the Pescado Asada Con Chilli Rojo Y Perejil ($46). 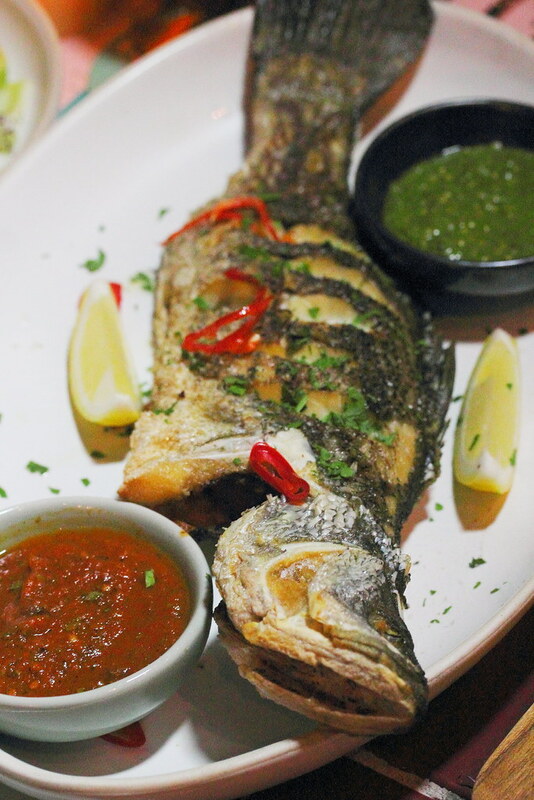 The whole barbequed seabass is served with both red ad green salsa. The red salsa is made from tomatoes, red chillis and paprika while the green salsa has white onions, mint, dill, coriander, lime, parsley and tomatillos. I preferred the green salsa with the fish, I find that it enhanced the fish better. From the sea, we moved to the land with the Cerdo ($32). The pork belly is finished in a charcoal oven before servicing. The pork belly is well flavoured but it was on the tough side. However the highlight for me is the black mean hummus and sopes (a handmade little masa pancakes with spring onion and sesame). I felt that it sold the limelight from the pork belly. Wrapping up on our food trail, is the messy Tostadas Dulce Du Chocolate ($15). 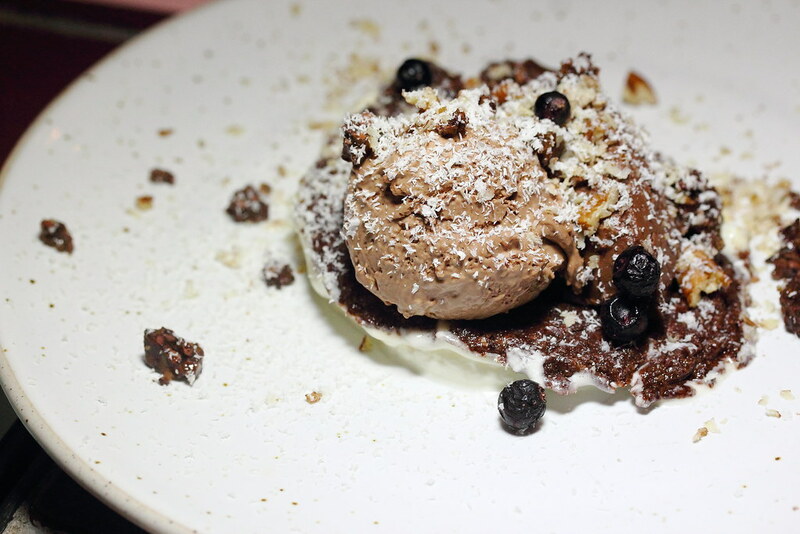 Do not be deceived by the appearance, the plate of chocolate tortilla, chocolate avocado butter, Mexican bitter chocolate ice cream, cocoa nib candy and chunky pecan crema works wonderfully on the palate, especially for chocolate lover.